Designed to capture the maximum exposure for your home in the shortest period of time, I’ll implement my proven 15-Step Marketing Plan. 1.Price your home strategically so you’re competitive with the current market and current price trends. 2.If needed stage your home to cast a positive light on the features most important to buyers: uncluttered rooms and closets, fresh paint, and terrific curb appeal. 4.Place Coming Soon “for sale” signage in yard, place AD on Zillow’s coming soon site. 6.Distribute “just listed” notices to neighbors, encouraging them to tell family and friends about your home and invite them to the 1st open house. 7.Optimize your home’s internet presence by posting information on sites such as the Realtor MLS system, Zillow, Trulia just to mention a few as well as in local and global MLS system. Ads will including plenty of photographs and a description of your property. 8.Placing your home on multiple Websites to attract both local and out-of-town buyers. 9.Create fliers to place inside your property. 10.Target my marketing to active real estate agents who specialize in selling homes in your neighborhood. 11.Include your home in our company and MLS tours, allowing other agents to see your home for themselves. 12.Advertise your home in my real estate newsletters and neighborhood newsletter as well as in direct mail campaigns, email campaigns and social media. 13.Create an open house schedule to promote your property to prospective buyers and market those open houses. There is will a open house on the 1st Saturday and Sunday the home is listed new to the market. 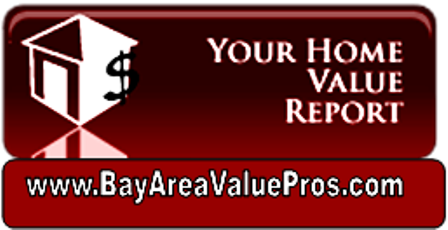 14.Target active buyers and investors in my database who are looking for homes in your price range and area. 15.Each caller’s inquiry will be followed up with a personal phone call. 16.Provide you with weekly updates detailing my marketing efforts, including comments from the prospective buyers and agents who have visited your home.